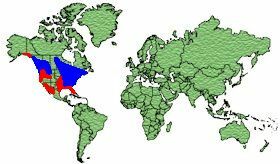 Northern United States of America and Southern Canada. 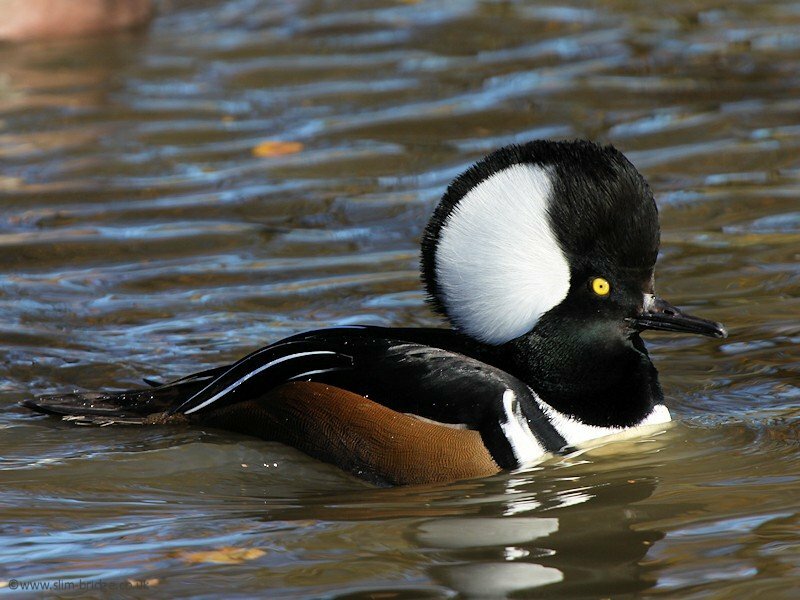 Winter in United States of America. 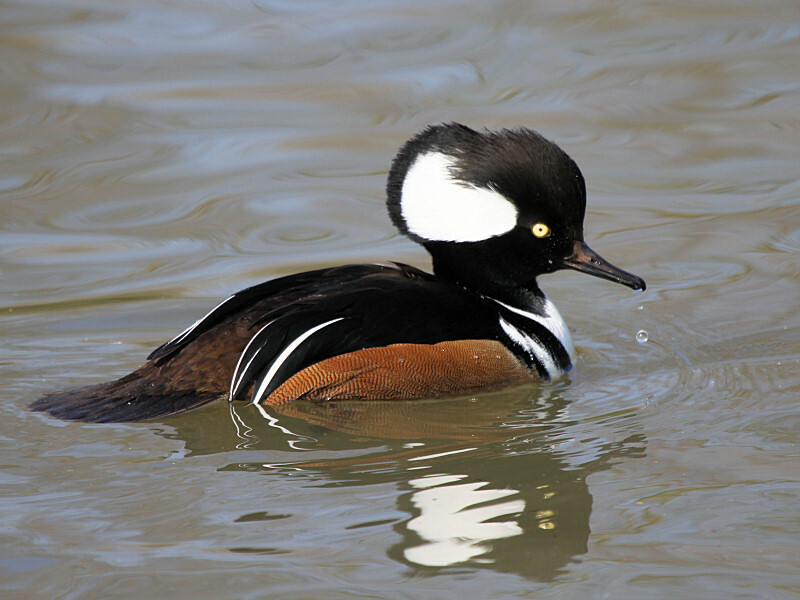 Swamps, lakes, rivers and wooded ponds of the northern half of the United States and southern Canada. 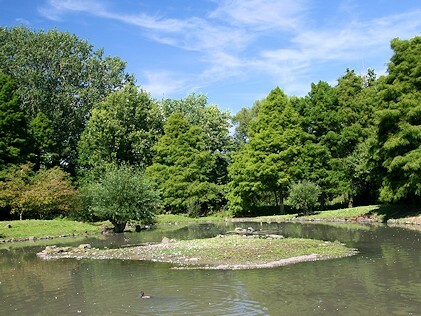 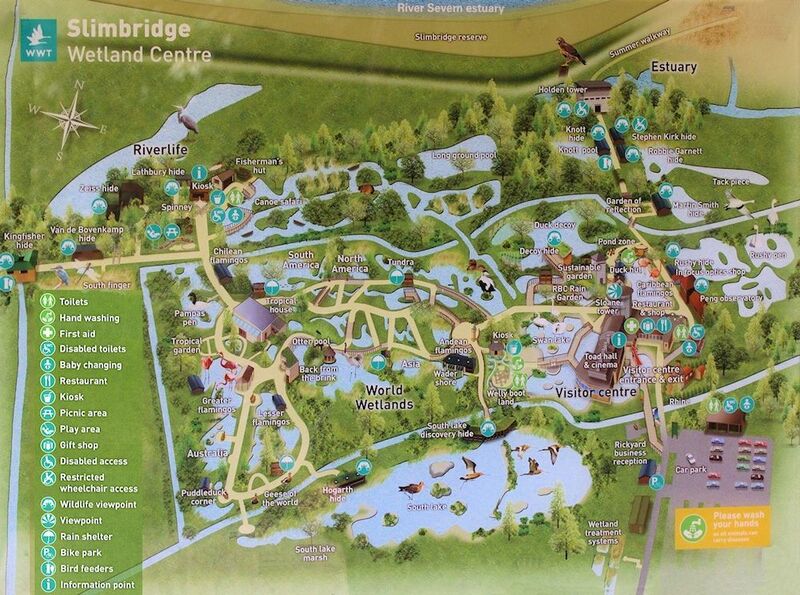 Small Fish, Crustaceans and Aquatic Insects. 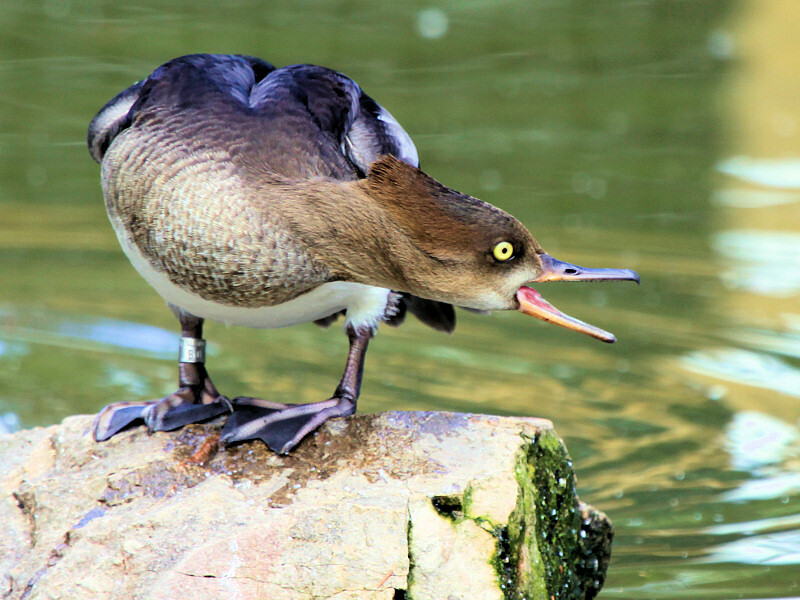 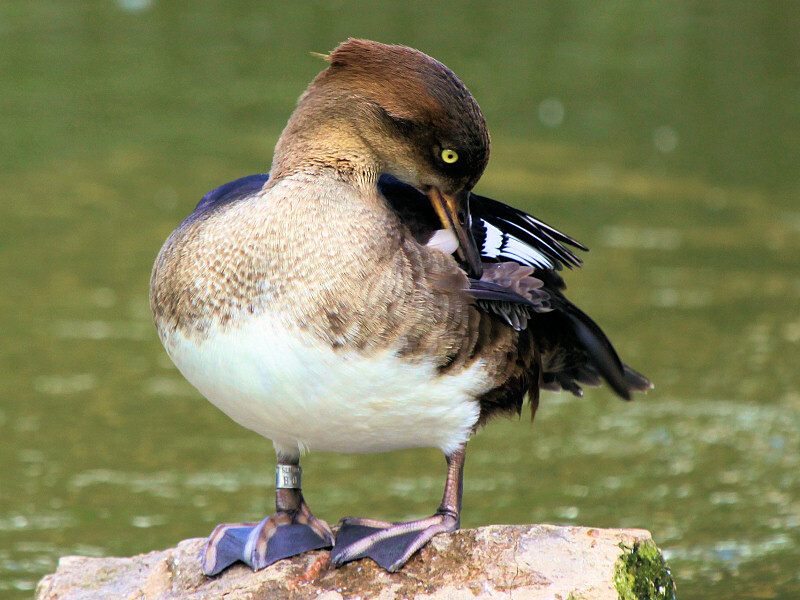 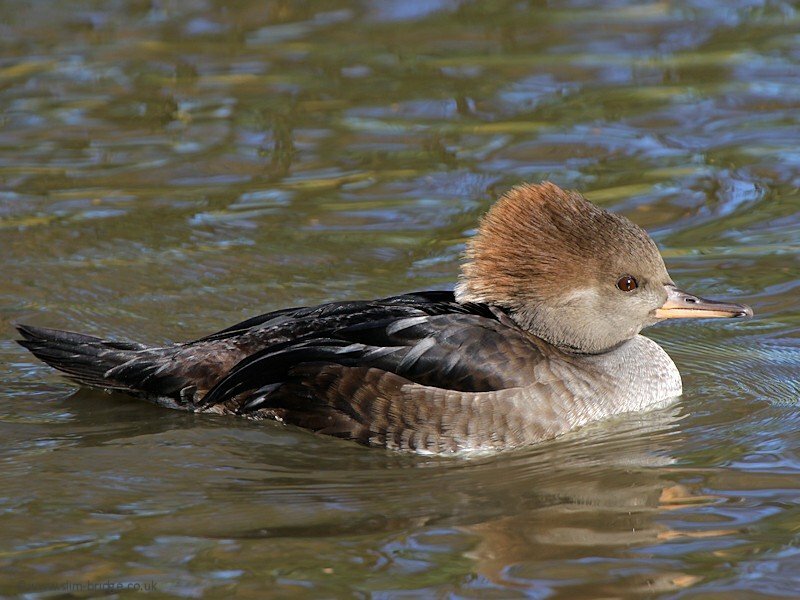 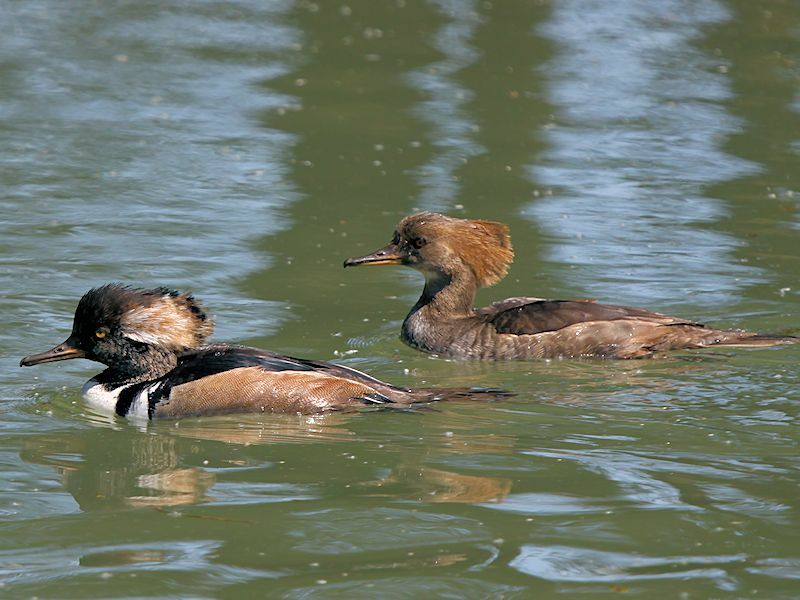 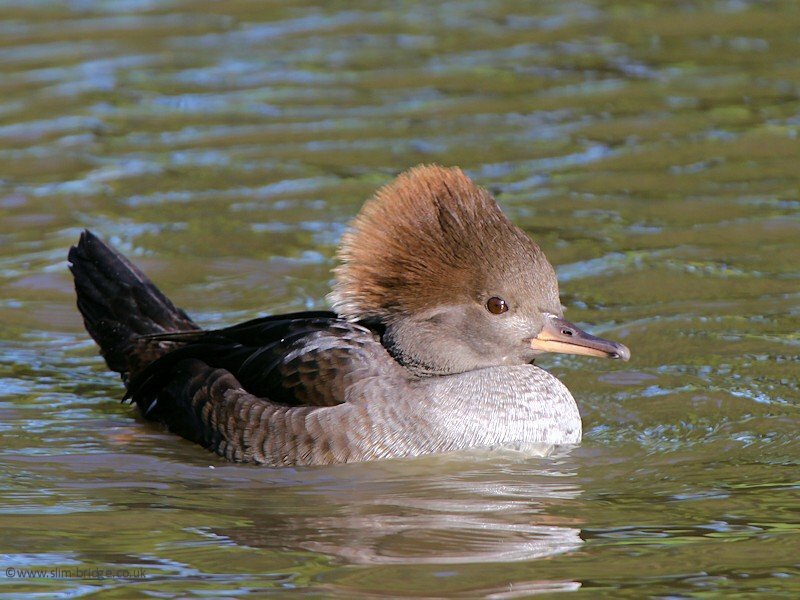 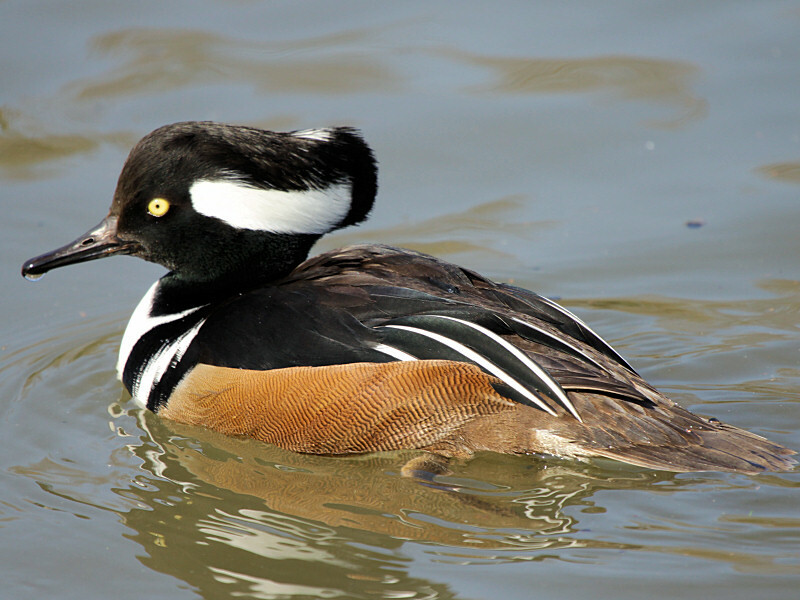 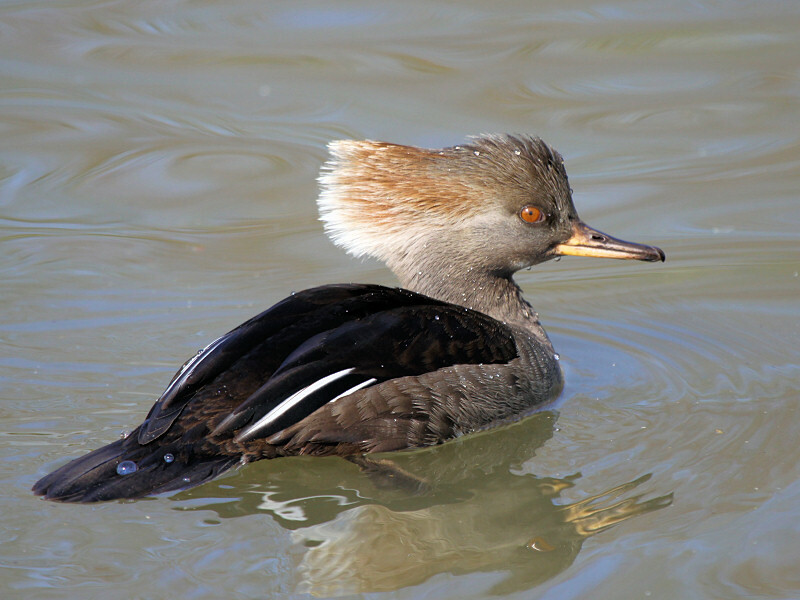 Hooded Mergansers are the second smallest species of merganser, with only the Smew of Europe and Asia being smaller. 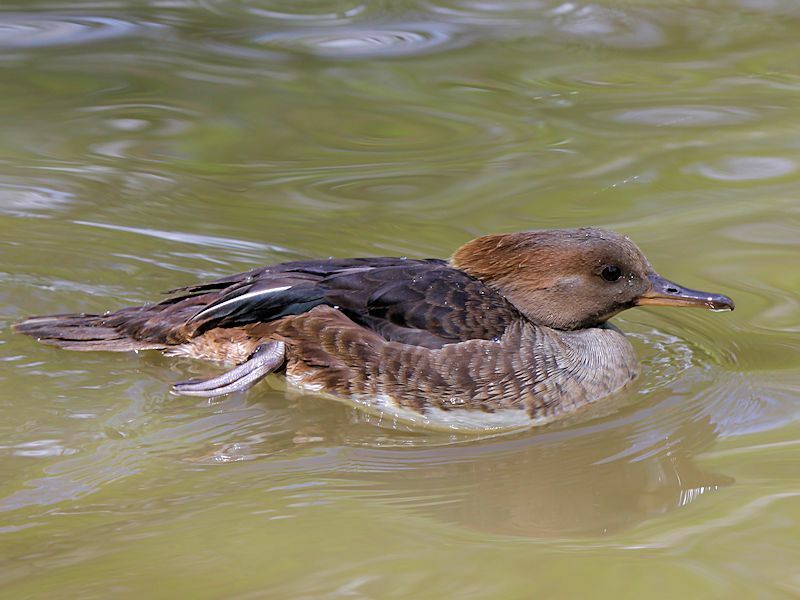 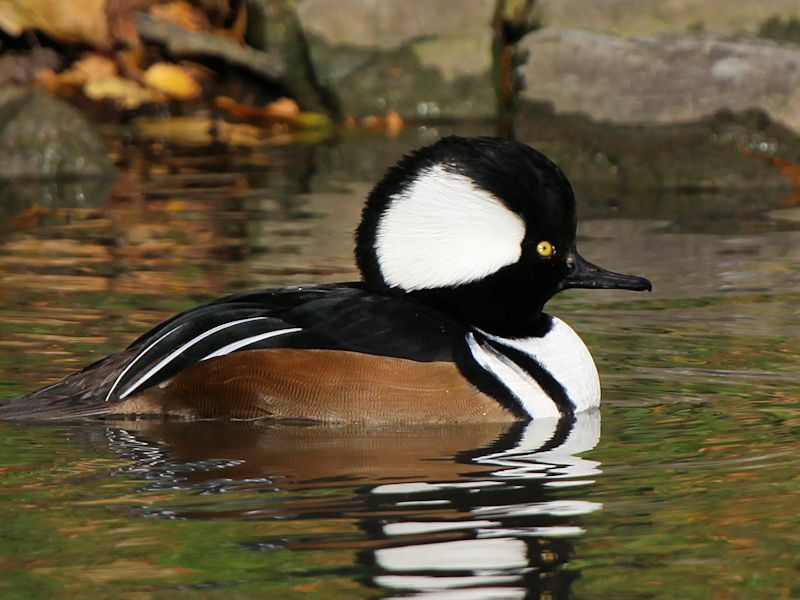 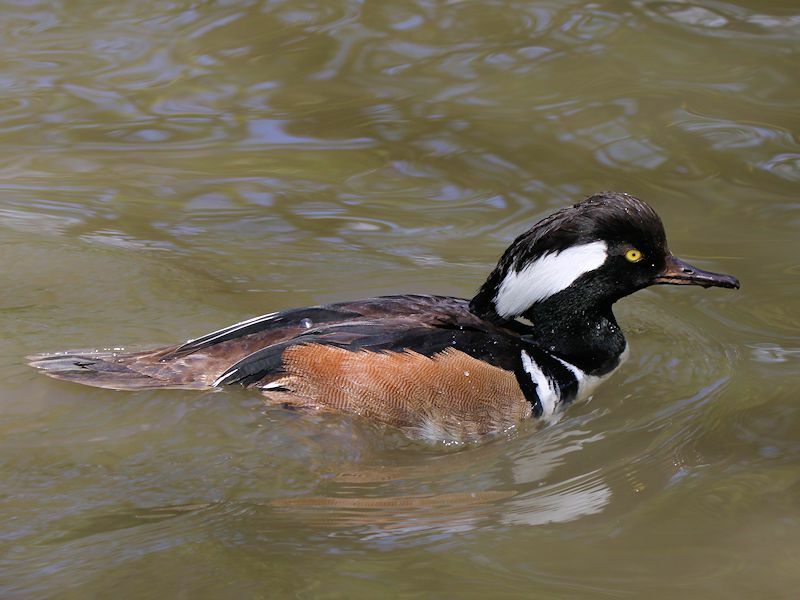 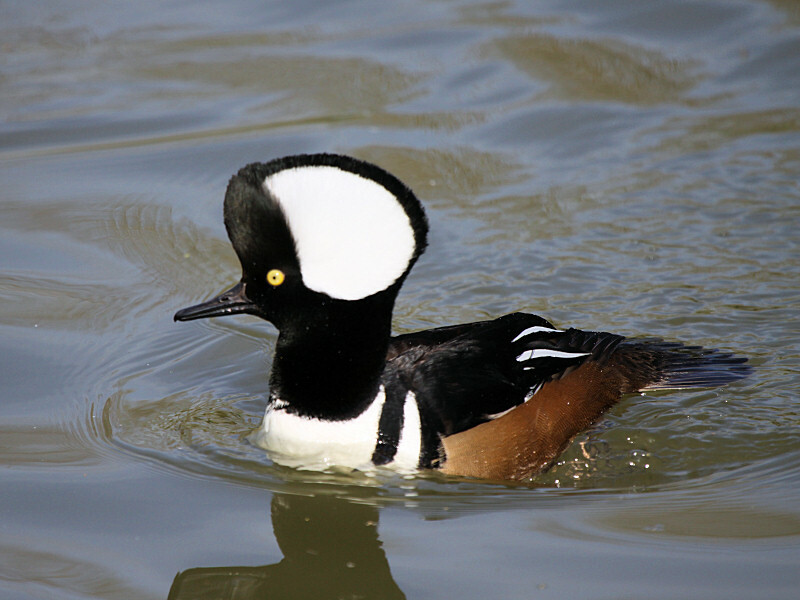 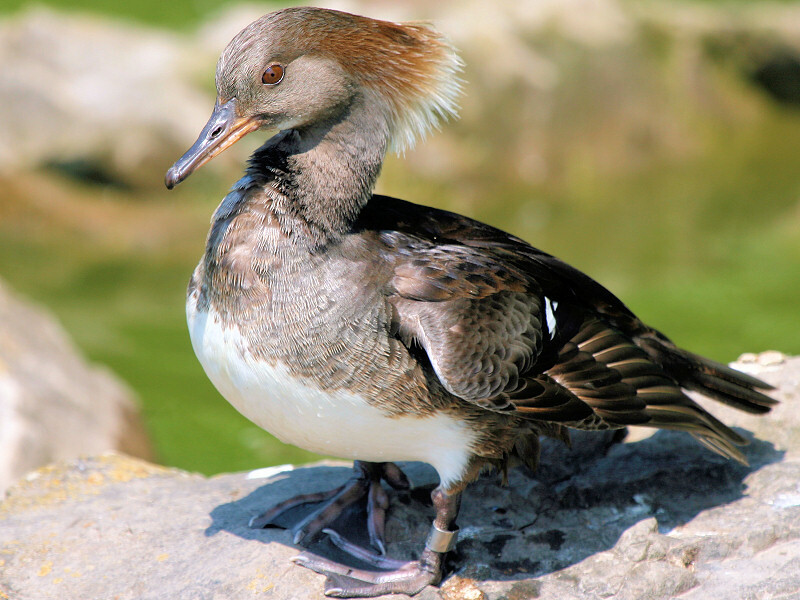 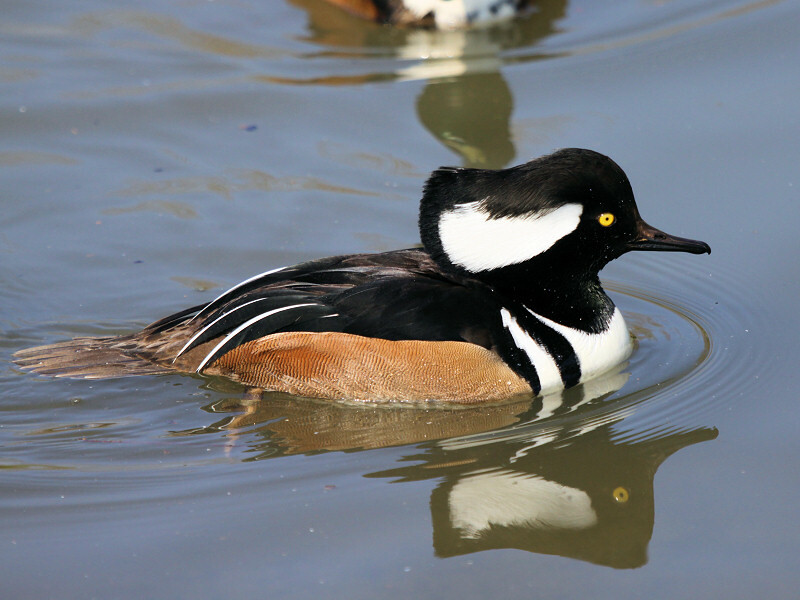 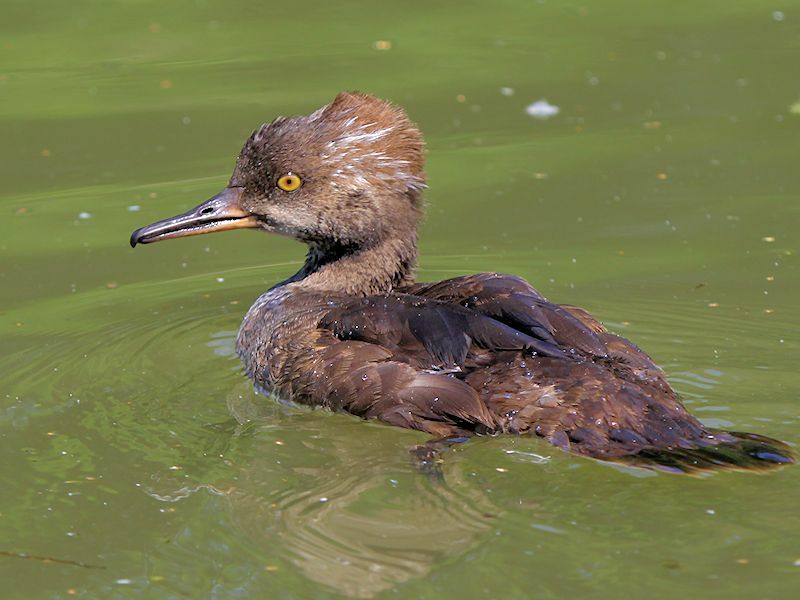 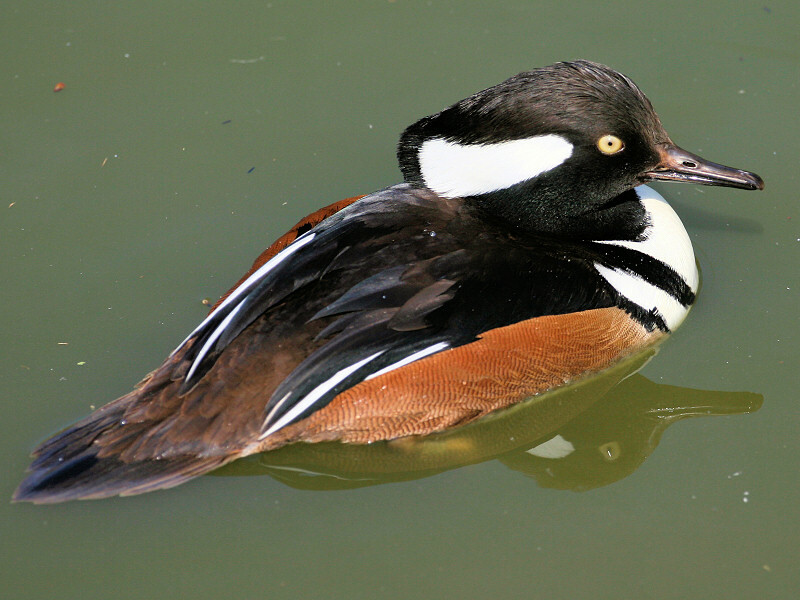 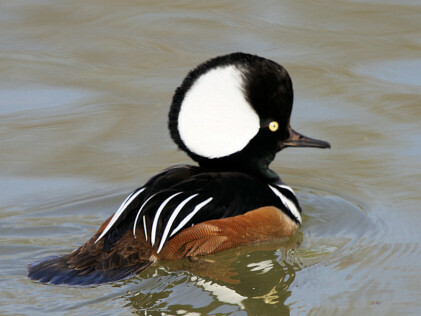 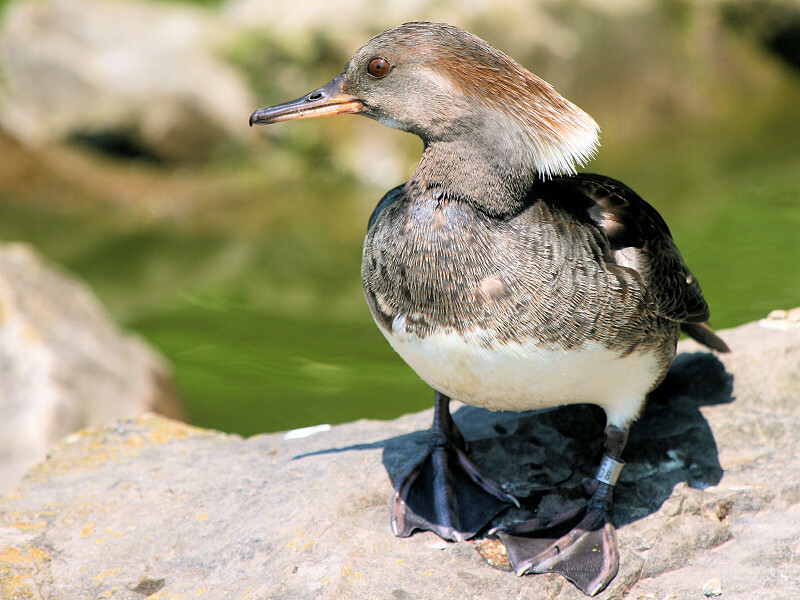 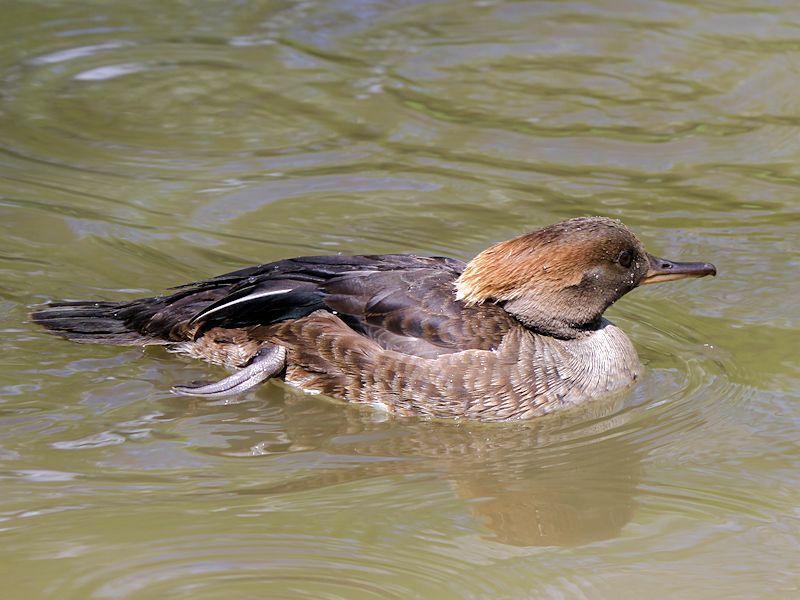 The Hooded Merganser is a sea duck, being able to dive for fish and staying underwater for some time and using its sawbill to catch and grip the fish. 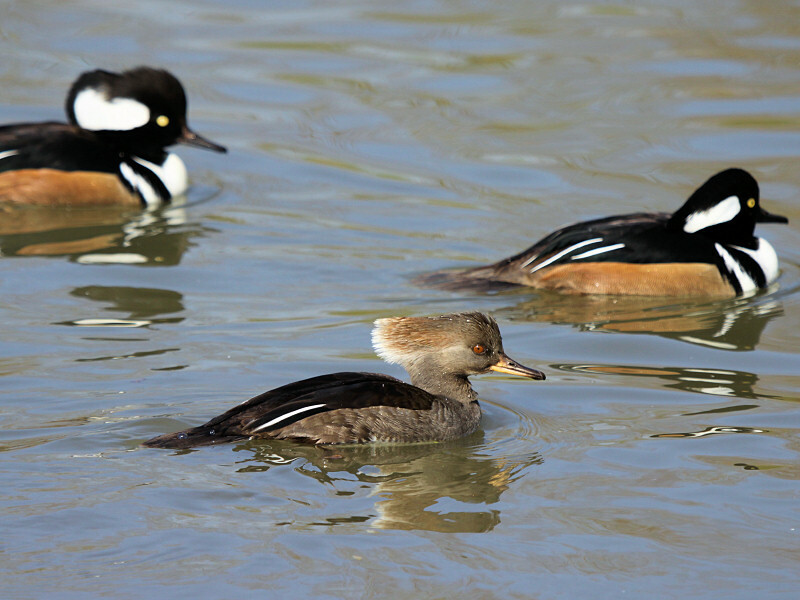 Hooded Mergansers are short-distance migrants, wintering in the United States wherever temperatures allow for ice-free conditions on ponds, lakes and rivers.